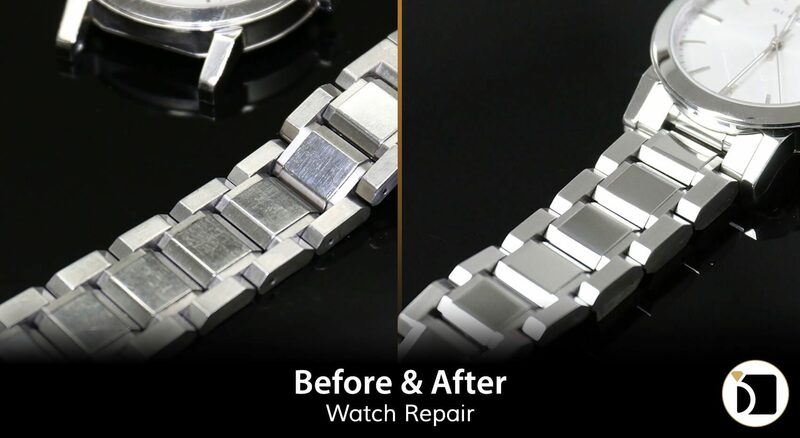 On this edition of the Before & After, we have a watch with a scratched and heavily worn stainless steel band that required a clean and polish. For this repair we put the watch in the hands of our certified watchmakers who attended the WOSTEP program in Switzerland for world class clean and polish. How much would a repair like this cost, I have an old Tag Aquaracer in a similar condition. Thank you so much for the inquiry. You can find pricing for our watch services here: https://myjewelryrepair.com/pricing. We also provide free standard shipping and evaluations on all repairs sent to us. We look forward to receiving your watch!